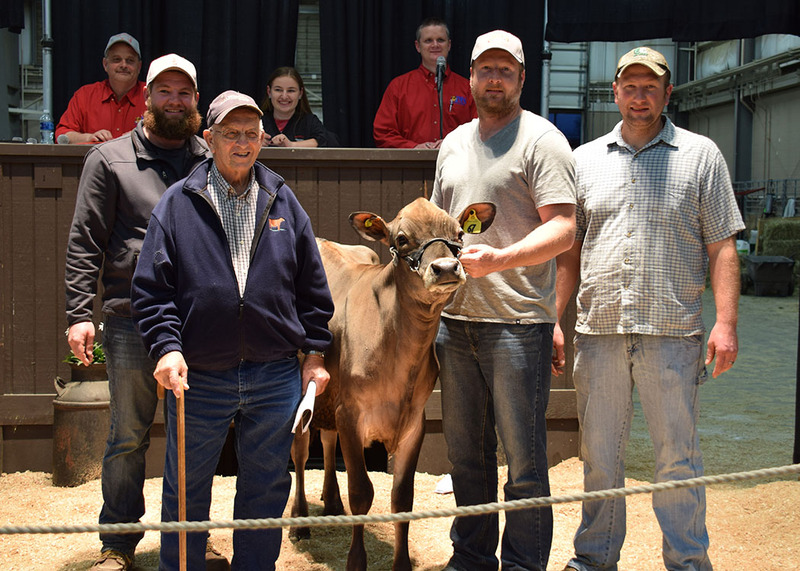 The Buckeye Classic Jersey Sale sold 36 lots of heifers, cows and embryos, genomics, show type and great production from consignors in Ohio, Indiana, New York, and Tennessee. The overall sale average was $1600. Buyers ranged from Ohio, Indiana, Iowa, Pennsylvania, Tennessee and Wisconsin. 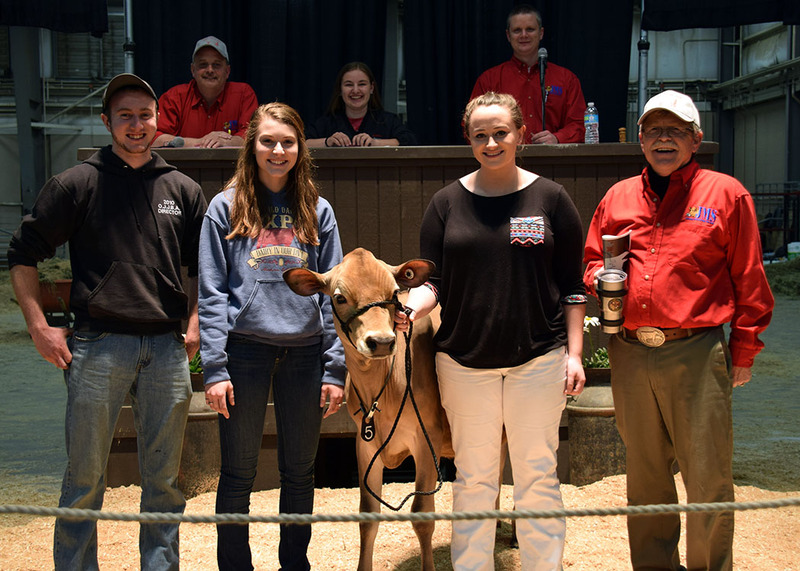 The top-selling lot was Lot 16 – Virtuoso Eden, consigned by Jake Hershberger, Lynn Yocum and Myers Jersey Farm in Troy, Ohio. For $4100, Craig Dotson of Williamsburg, Ohio won the rights to take this calf home into his show string. 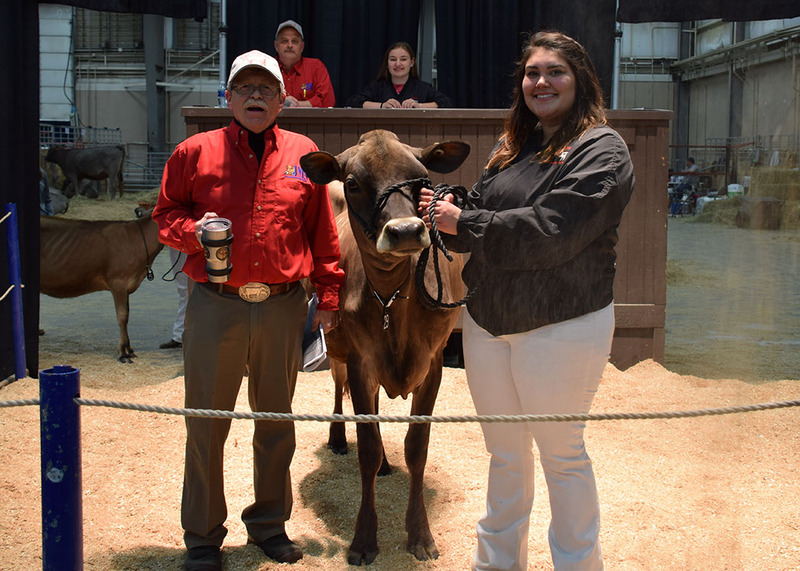 Lot 29 – TJ Classic Tequila Blossom, consigned to the sale by Joel & Greg Bourne and Tabitha Francis, Ansonia, Ohio, was the second high selling heifer of the event. Eddie Harris of Cleveland, Tenn., was the final bidder at $2950. Lot 5 – Cowbell Redpath Cozy – consigned by Christine Sheesley Rozler, Potsdam, N.Y. was the third high seller. She was purchased by Ethan Starkey of Mechanicsburg, Ohio for $2850. The Buckeye Classic Jersey Sale will be held on Thursday evening, March 30, 2017 in Columbus, Ohio. JMS is proud to be working with the Buckeye Dairy Club during Spring Dairy Expo to put on this sale. Join us at the Ohio State Fairgrounds and Expo Center, or on JerseyAuctionLive.com, at 6:00 p.m. (EDT) for a 35 lot sale!